Check out Feast! 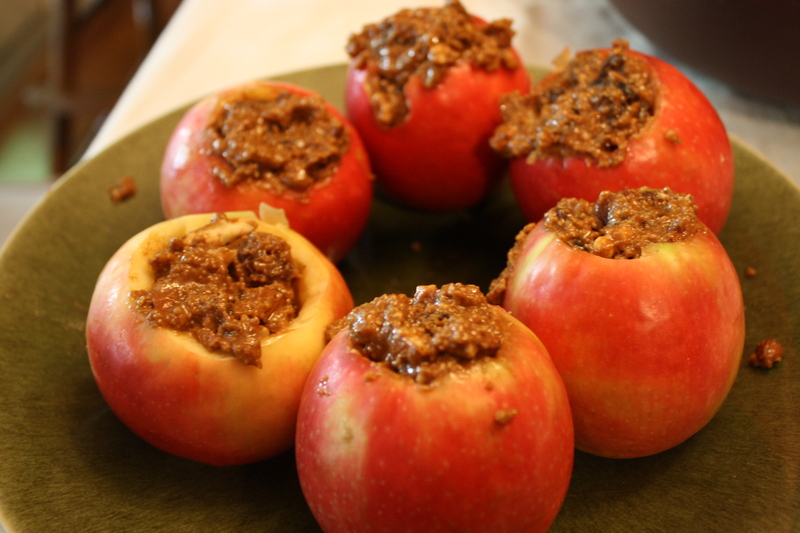 for last night’s menu, pictures, and recipes: Assumption Salad, Stuffed Zucchini, Baked Apples with Butter Rum Sauce! Daniel and I went to see Terence Malick’s The Tree of Life on Saturday, partly because we’ve been meaning to see it and partly because our favorite little artsy movie theatre in town (Miracle 5) closed on Sunday and we wanted to go one last time. 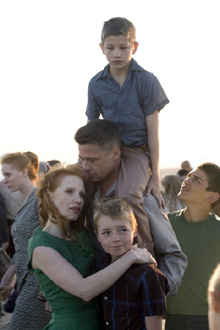 The Tree of Life takes place in Waco, TX where we lived for six years and much of it was filmed there. It was fun to see town landmarks like the ALICO building and rows of old houses with pecan trees and live oaks. Waco was a booming town until the early fifties when a huge tornado whipped through the city, killing hundreds and destroying huge areas of town. In many ways, Waco looks stuck in the fifties. Old painted advertisements still cover the brick walls of downtown buildings. So, it really was a perfect place to film for a story that takes place in the fifties. My first impression of the movie was: beautiful, and LONG. It is a long film. There isn’t much dialogue and there is shot after shot of sunlight through live oak leaves. I’ll admit that at times it felt a little too artsy for me. We left the theatre saying….what did it MEAN? I wasn’t really sure I liked it just after seeing it. After talking about it more and reading a little commentary, I think I did like it. A friend sent me this article: The Tree of Life and the Lamb of God, that Dr. Candler, one of our professors at Baylor, wrote. I found it really helpful. On a separate note, we celebrated the Assumption of the Blessed Virgin yesterday. What a beautiful day of hope! Tune in later to Feast! for pictures and recipes from our celebration. I’ll probably post a link here, too.